Particular highlight of shock 4-0 win. 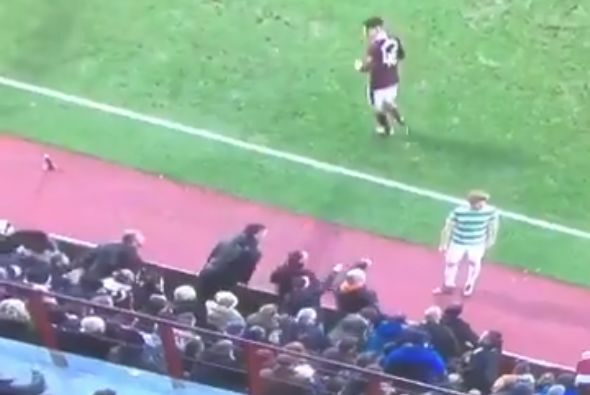 A highlight of Hearts’ astounding 4-0 Scottish Premiership win on Sunday was when the ball was thrown back into the stands by a home supporter before a Celtic throw-in. Not least at the moment seen in this clip where they jeer one of the Celtic players, who the ball is thrown far away from and back into the stand.